In “layman’s terms” it is a secure encrypted private network, anonymizes your actual IP & location, protects your communication, information and your identity, privacy on the internet. A must have especially for open wifi hotspot users, the airport, restaurant, hotels etc. A VPN service will mask your IP address, preventing anyone from snooping on your online activity while connected to Wi-Fi networks. Whether you’re looking to circumvent government censorship or merely make it harder for online advertisers to track you, a subscription to any of these great VPN deals will give you the protection you need. VPN – Private Internet Access – $6.95 Per Month OR $39.95 Per YEAR! 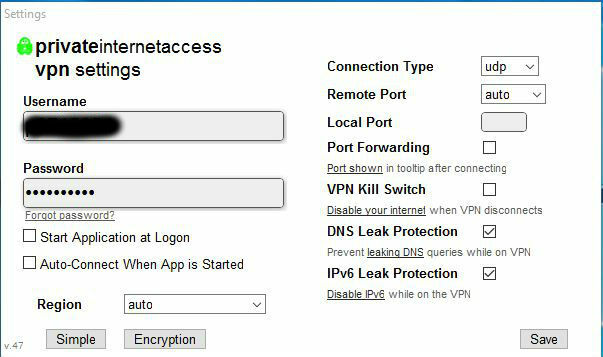 What is my IP address, and what info does it leak? VPN Private Internet Access protects open wifi “hotspot users”. Connecting to an open wifi for example at a restaurant, hotel, airport, school or anywhere other than your home secured network can be very dangerous. I do not recommend you sign into ANY websites when you are on an open wifi unless you have VPN – Private Internet Access enabled. There software is very easy to run, choose a IP location or just auto connect and you connection is encrypted, protected and secure. Even protects YOUR privacy on your own secured wifi. Your internet service provider can “snoop” and see what you use the internet for and what you download etc,, with VPN enabled they cannot see anything for it is encrypted “jibberish” and your IP is anonymous or cloaked. PIA keeps no logs so this VPN is great for torrent file sharers also. Connect up to 5 devices at one time on your account – your computer, phone, laptop, iPad etc. So ALL your devices are covered & protected with PIA – Private Internet Access VPN subscription. 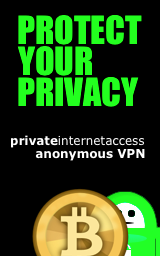 I personally been using PIA – Private Internet Access VPN for the last 2 years, and highly recommend it! For $39.95 you can beat the price for a secured, encrypted, anonymous on line connection on all my devices. I use it all the time even at home, and especially on an open wifi hotspot when is restaurant or hotel. Can run & set your IP to 30+ locations from New York, California to France, Hong Kong, Sweden etc. My speeds are sometimes faster using PIA’s VPN when choosing a close low ping location. You can just “Auto Connect” and the software will choose the lowest ping server IP.